I’m happy to announce the introduction of my friend Scott Stap as a contributor here to The Muscle Car Place. Scott is an expert in the marketing of buying and selling cars (and nearly anything else) online, and this article is the first in his series dedicated to helping YOU do the same. Thanks, Scott! So it is time to sell your car or maybe some left over parts and you think to yourself “I’m gonna post them on the Internet!”. Well, as mom always says, the Internet is a very big place. There are many options to listing your car or parts and I am going to attempt to clarify a couple of the more popular ones. In this series I will cover the pros and cons of selling your vehicle, parts, memorabilia, and accessories on Craigslist, eBay, Internet Forums, and Pay Site Classifieds. In this introductory article, I would like to give a brief overview of what each service is and its target market. Each venue has advantages and disadvantages over the other services. I am going to touch on an advantage of each and then get more in depth in future articles. Craigslist is FREE. That is its main advantage. Free means you can list your ad with no cash outlay. You can post an ad with nothing but an email address and start selling within minutes. Your items could potentially sell within a half hour of posting, but some things just do not sell. Craigslist is mostly a local classifieds bulletin board that is monitored by its users, but do not be surprised if someone contacts you from out of state or across the country. 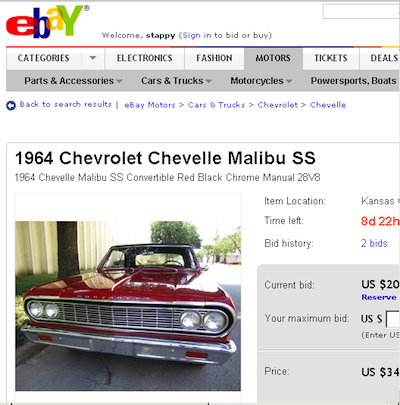 eBay is an auction service, but they also have a classified section that is local and free. eBay auctions have the reputation of being an international market. It has the ability to sell your product for more than you thought they were worth, but also has the same ability to sell it for less then you thought you should get. For every great deal had on eBay there is someone crying that they lost their shirt. This uncertainty of the final price and hooking people with the auction format is what makes eBay such an attractive, and addictive, selling location. The classifieds section has the advantage of eBay’s name recognition without the hook that eBay auctions do. Internet collector forums, have a double edged sword in regards to selling. 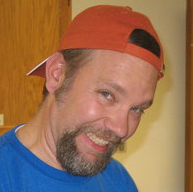 A forum is a website where people get together to chat publicly about specific hobbies. There are forums for everything on the Internet anymore, and usually more than one. The question is “which forum is the right one for you”? Most forums frown on “drive by ad postings” and some even stipulate that you need to have a certain number of posts before you can post something for sale. That being said, forums are the best source of information for anything related to your automotive obsession of choice. They have the people who know about a particular vehicle right down to nuts, bolts, and carpet loops. 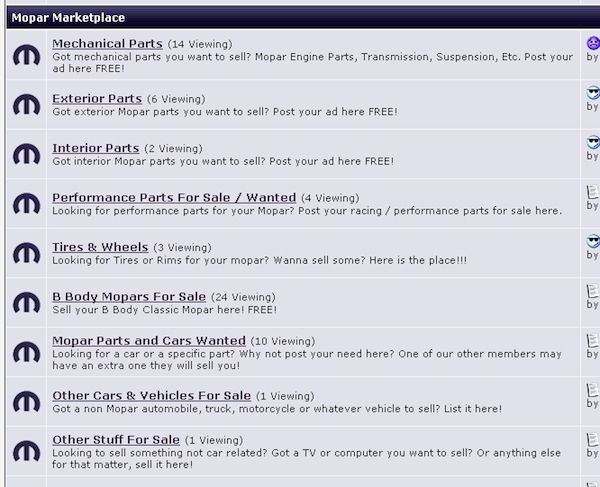 These are the people that may be interested in buying your car parts, and maybe your car. If you’re new to automotive forums….get used to how this looks. It’s very text based and requires that you actually READ it, but there and plenty of treasures to be found! In a forum you have a concentrated market of interested buyers BUT, (here is the other edge) they know prices, know availability, and know when someone is trying to pull the wool over their eyes. A certain cable TV show recently bought and “restored” a 1964 Barracuda which they then sold at auction. During the course of the show someone shattered the iconic huge back window and they mentioned that this window was worth $2500. Of course on the forums the next day were many people offering (jokingly) to sell a back window for even $1000. It was a consensus that these windows, even though not currently built, are in plenty enough supply used. My advice on forums is to find one you like and join now, even if you are not selling or buying anything…yet. Paid automotive classifieds have many advantages over the other forms of advertising because they have done a lot of the hard work for you. Paid classifieds list ads in specific targeted locations that will generate the most traffic for your car. They make sure your listing looks clean, professional, and detailed. Quite often the ads placed on these services get national attention through placement in magazines, ad campaigns, and other publishing’s. You get a lot of bang for the buck in a paid classified ad, be it in a print magazine or online. Examples include Hemmings and Autotrader Classics (both of which offer print and online ads), ClassicCars.com (online only) and yes, even here at The MuscleCar Place (online only). Look for upcoming articles regarding these forms of selling on the internet. We will go into more depth of pros, cons, and tips for these web sites. 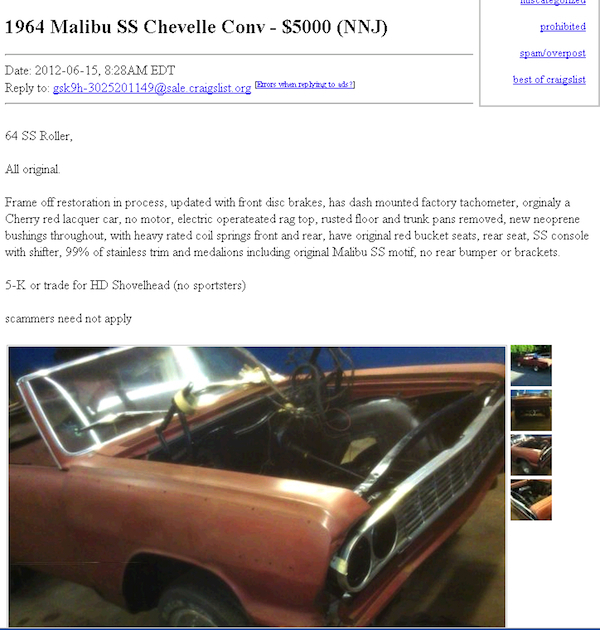 If you have ideas regarding this or future articles just leave feedback here at http://www.themusclecarplace.com!